You've been in my life so long, I can't remember anything else. The last brassy notes of the 20th Century Fox theme hold and contort into the reverberating growl of the film's soundscape. Then, the familiarity of the abyss punctuated by staccato scenes that move the story along. New format, familiar threads... the wrinkle, we begin to understand, will be in the telling. Nothing quite like facehuggers interrupting stasis to earn cinematic trust! 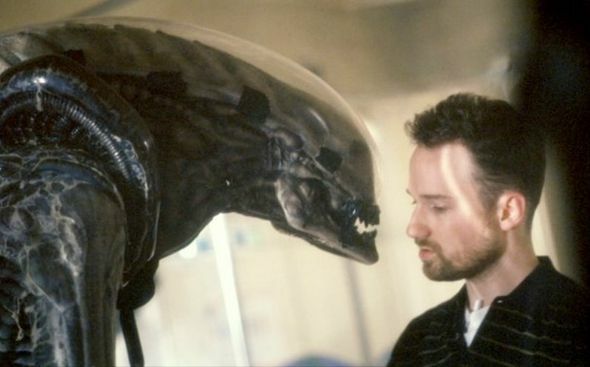 Director DAVID FINCHER speaks about the Alien³ title sequence in this excerpt from our feature article David Fincher: A Film Title Retrospective. DF: [laughs] I don't want to talk about that. 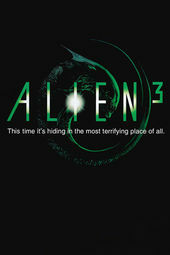 Alien³... That was always designed to do away with the cast from the second film as efficiently as possible. DF: Yeah, I thought it was kind of bold. DF: The writers weren't bringing them back. They had a script that didn't include them, so we had to tell the story of their disappearance. DF: The script had the Sulaco pod being ejected, but we decided afterwards that we needed to see what happened on the ship that led to that event. DF: That was me. Well, it was me and Elliot Goldenthal. "Can you take the Fox fanfare and just sour it? "...Because we're about to do that with the film. Read more about David Fincher's filmmaking and title sequences in our feature article David Fincher: A Film Title Retrospective.